Similar to that of the Chris Rock documentary, Good Hair, show # 005 tackled the importance of hair in America and the definition of what exactly "beautiful hair" is. 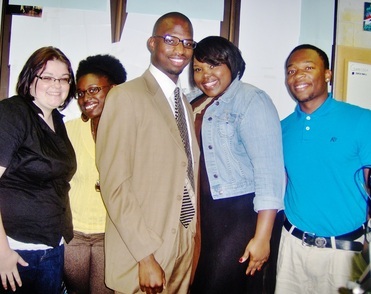 Jacksonville State University students Misha F. Whatley, DeAunna Harris, Megan Caraway and A.J. Roy brought about an interesting perspective on different types of hairstyles, how to wear your hair in certain environments and the difference between natural hair and perms. Conversation also came about in regards to the length of hair & the effect it could have on your potential level of attractiveness.